Whether you’re an avid global traveller or a dreamer, the National Geographic Nature Photographer of the Year contest is the one of the most eagerly anticipated competitions in travel. Of over ten thousand of entries, the judges have selected the best photograph according to its creativity, composition and quality. Entrants competed in four categories; Wildlife, Landscape, Underwater and Aerials. This auspicious contest celebrates everything that makes our world vibrant, exciting and vast. From every corner of the globe, there’s a story to be told and the Nature Photographer of the Year captures the breathtaking and sometimes tragic snapshots of a world that so desperately needs a voice. The winners of the National Geographic Nature Photographer of the Year competition for 2017 have managed to capture most beautifully, the emotional complexities of our natural world. "I was really excited that this particular image won the contest because I think the orangutans needed it more than me...I think this will put some spotlight back on this endangered species and help to save their habitats," Bojan explains. 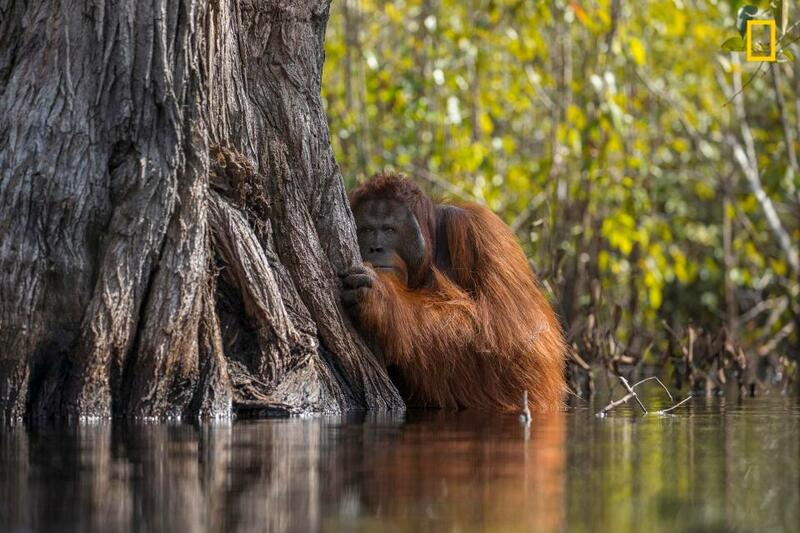 This shy orangutan peeps out from behind a tree in this close encounter with an endangered species. The photograph captures the emotional confrontation between nature and man. 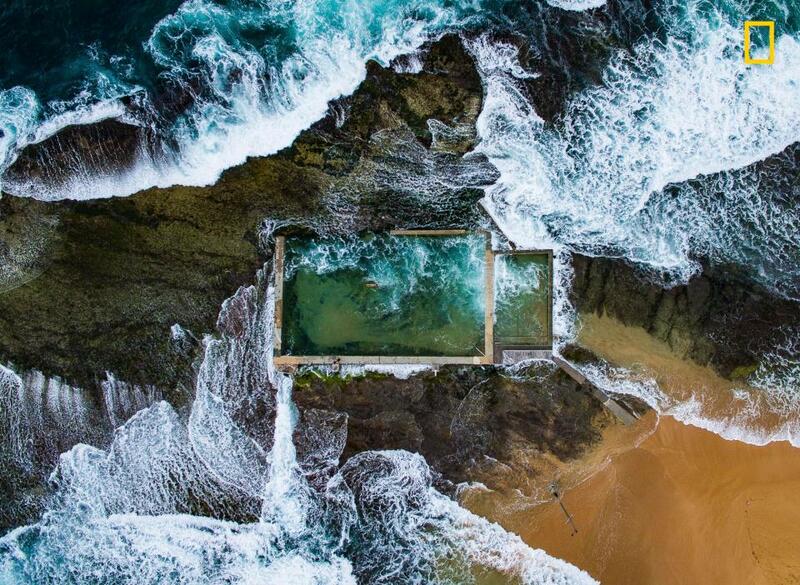 A lone Australian swimmer laps across a natural rock pool in Sydney. The crashing waves reveal the majesty and hugeness of the ocean. 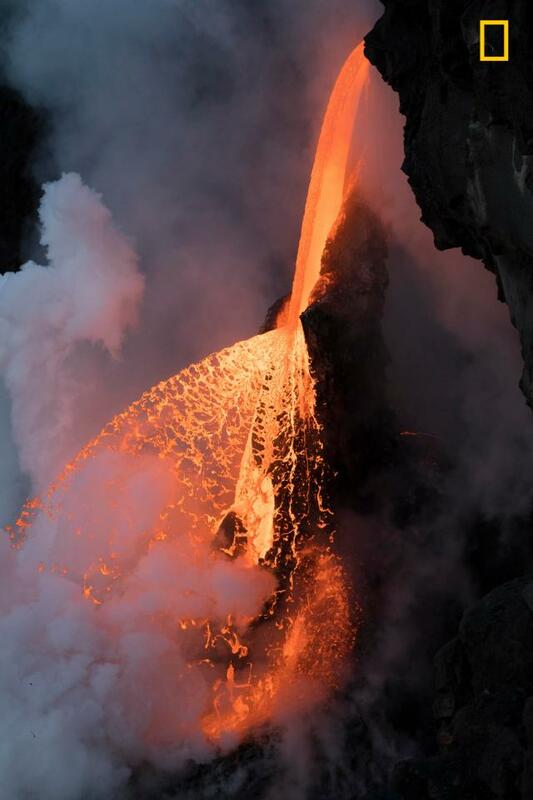 The splatter and spray of molten lava in the Hawaií Volcanoes National Park is a testament to the true age of the earth. 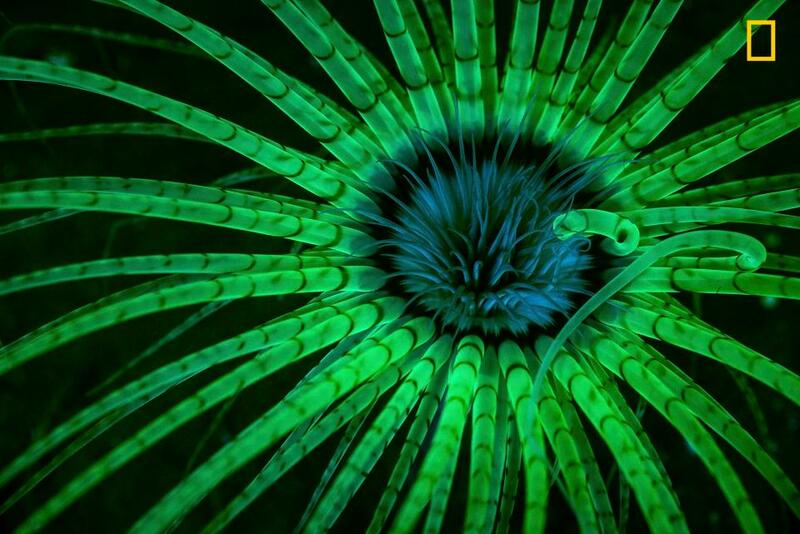 This magnificent sea anemone pulses shows off its adaptive bioluminescence, a vivid and striking feat in the depths of Hood Canal in Washington. Wondering what the cost of an African safari is? Visit us to compare prices and tailor your safari to suit your budget.